Upon invitation of the BDG, the Professional Association of German Geoscientists, the fourth edition of the Meggen Raw Materials Days was held from 12 to 14 September 2018 at the Galileo-Park in Lennestadt-Meggen. In total 150 geologists and geoscientists from Austria, Denmark, France, Germany, Nigeria, the Philippines, Portugal, Switzerland and the UK have gathered at this occasion for productive exchanges. On the first day, a workshop ensuring the Continuing Professional Development (CPD) of European Geologist title holders (EurGeol). The workshop was flagged as an official event of the United Nations Economic Commission for Europe (UNECE) and as an EFG EuroWorkshop and it featured an introduction to the United Nations Framework Classification of Resources (UNFC), a new programme for the classification and management of raw materials in the light of mineral planning, evaluation, and resources management at national and international level. The first conference day was introduced by the mayor of Lennestadt and the organisers. Afterwards, the workshop theme was deepened with contributions by BGR, the KfW-Bank, the Deutsche Rohstoff AG and the Fichtner GmbH which highlighted aspects of international raw materials policy and the financing of raw materials projects. The programme concluded with presentations about the EU funded projects INTRAW and FORAM and with contributions relating to the competence of European Geologists within the PERC standard, the new oil classification in Russia and the situation of mineral geologists in Africa. The presentation by EFG President Vitor Correia is also followed by Lennestadt’s mayor Stefan Hundt (left). The second conference day focussed on mineral resources in central Europe with examples from Germany, Austria and France, as well as methods for the exploration of resources with presentations by the Saxon mining authority, the University of Leoben and by different companies such as HeidelbergCement, DMT, Sachtleben Minerals, Xplore.Global, Tracto-Technik, Beermann Umwelttechnik GmbH and Basalt AG. The organisation and the social programme with an, as usual, excellent catering have again been ensured competently by the two main sponsors Tracto-Technik GmbH&Co.KG and Sachtleben Bergbau Verwaltungs-GmbH, in collaboration with the Galileo-Park. “Geology as a basis for raw materials concerns all people, especially in an increasingly globalised world. By safeguarding our water and energy resources and by handling the geotechnics, the geosciences represent the foundation for our life,” stated Michael Neumann, the BDG’s press officer. 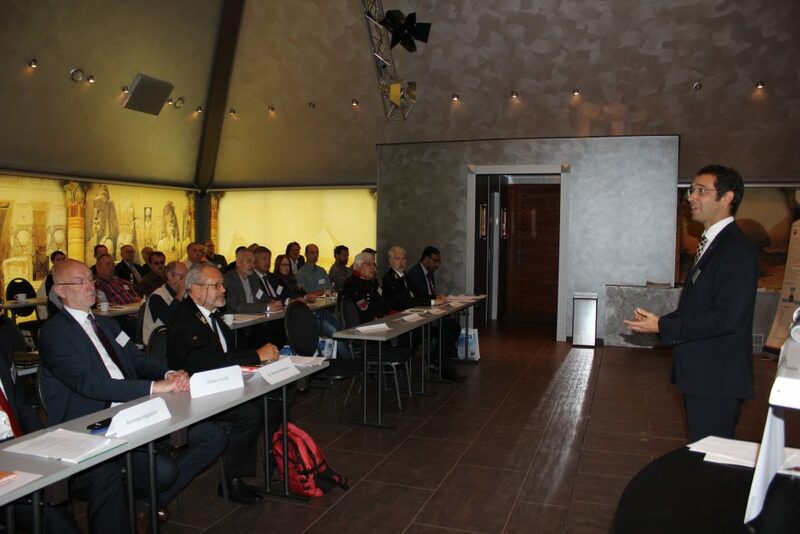 The date for the fifth edition of the Meggen Raw Materials Days has already been fixed for 11-13 September 2019.